유기나노소재 연구실은 다양한 물리적, 화학적 그리고 광학적 성질을 가지는 여러 가지 공액고분자 중에서도 폴리다이아세틸렌 (polydiacetylenes, PDAs)을 주요 센서 소재로 사용하고 있다. PDA는 다이아세틸렌 단량체의 자기조립 및 중합에 의해 만들어지며 고분자 주쇄에 이중결합과 삼중결합이 교대로 존재하는 구조로 되어 있다. 자외선의 노광을 통해 쉽게 단량체의 중합을 유도할 수 있을 뿐만 아니라 자극에 의해 색 전이나 형광 발현이 일어나기 때문에 센서 소재에 응용 될 수 있는 유망한 소재라고 할 수 있다. 본 연구실에서는 센서 및 이미징 기술에 적용할 수 있는 PDA 기반 스마트 소재 개발을 위한 연구를 진행하고 있다. PDAs display a characteristic absorption peak of blue at around 640 nm. 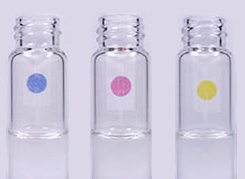 Upon exposure to environmental stimulus, a chromatic shift occurs resulting in blue-to-red color transition as well as an induction of fluorescence. Stimuli from the environment can take the form of heat (thermochromism), ligand–receptor interactions (affinochromism), magnetic field (magnetochromism), pH (halochromism), mechanical perturbations (mechanochromism), and organi solvents (solvatochromism). Our laboratory focuses on the development of PDA-based smart materials for sensing and imaging applications. 빛이라는 간단한 외부 자극에 의하여 물질의 구조 등이 변화하고, 그것을 이용하여 원하는 반응이 나타날 수 있도록 할 수 있는 광감응성 물질은 나노 과학기술 분야에 있어서 매우 촉망 받는 물질 중 하나라고 할 수 있다. 최근 수년 간 안정성, photo bleaching 문제 등을 해결할 수 있는 유도체가 소개되면서 메모리 소자, 트랜지스터, 자기조립, rewritable paper, color-tunable 발광 고분자 등 넓은 범위의 응용 가능성이 연구되고 있다. 유기나노소재 연구실에서는 이러한 광감응성 물질을 이용하여 분자 스위치, 액츄에이터, rewritable paper, 결정 구조 분석 등에 관한 연구를 진행하고 있다. Light-responsive material, which transforms its chemical structure by a simple stimulus such as light, is one of the most promising materials in the field of nanoscience and technology. 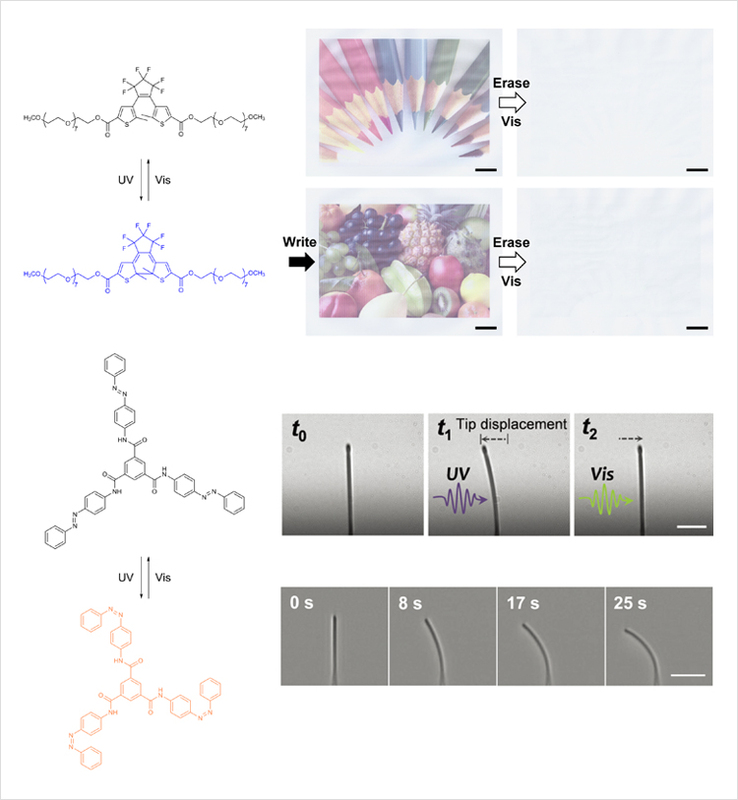 In recent years, development of many light-responsive derivatives with enhanced stability and less photo bleaching gave rise to their potential uses in a wide range of fields such as memory chip, transistor, self-assembly, rewritable paper, color-tunable light-emitting polymer. 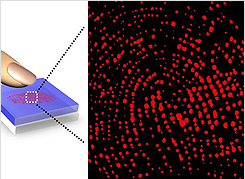 Our lab concentrates on development of novel molecular switch, actuator, rewritable paper, and crystallographic analysis by exploiting this light-responsive materials. 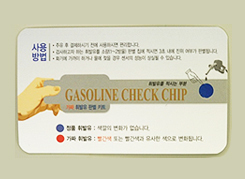 전도성 고분자(Conducting polymer)는 이중결합과 단일결합의 반복된 형태로 이루어져 있는 고분자 중 적당한 불순물의 도핑(doping)을 통하여 자유전자를 생성하여 전기전도도(Electrical conductivity)를 띄게 되는 고분자를 지칭한다. 대표적인 전도성 고분자로는 polyacetylene, poly(p-phenylene), poly(p-phenylene vinylene), polythiophene, polypyrrole, polyaniline, PEDOT:PSS 등이 있다. 높은 전도도, 경제성, 경량성, 유연성, 환경적-화학적 안정성 등의 특징을 지니는 전도성 고분자는 Chemical-bio 센서, 액츄에이터를 비롯하여 배터리, 슈퍼캐패시터 등의 에너지 저장 장치에 활용될 수 있으며, OLED나 스마트윈도우의 재료로 연구가 활발히 진행되고 있다. 본 연구실에서는 전도성 고분자를 이용한 Chemical-bio 센서, 액츄에이터, 마이크로 패턴제조를 통한 에너지 저장 장치로의 활용에 관한 연구를 진행하고 있다. 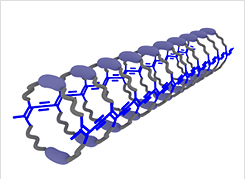 Conductive polymers, organic polymers which contain repeating units of double and single bonds, conduct electricity by doping certain chemical species to induce generation of free electrons. A wide variety of conductive polymers such as polyacetylene, poly(p-phenylene), poly(p-phenylene vinylene), polythiophene, polypyrrole, polyaniline and PEDOT:PSS has been investigated for its industrial applications. 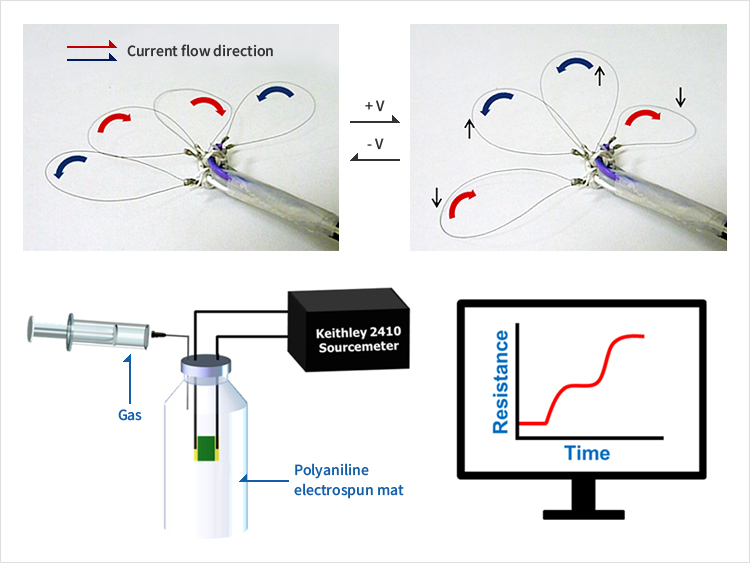 Owing to its high conductivity, economic feasibility, light weight, flexibility, environmental and chemical stability, conductive polymers are extensively studied as novel materials for chemical/biological sensors and actuators, energy storage systems such as batteries and supercapacitors, as well as OLED/smart windows. Our research aims to design new types of chemical/biological sensors and actuators and fabricate micro pattern using conductive polymers.